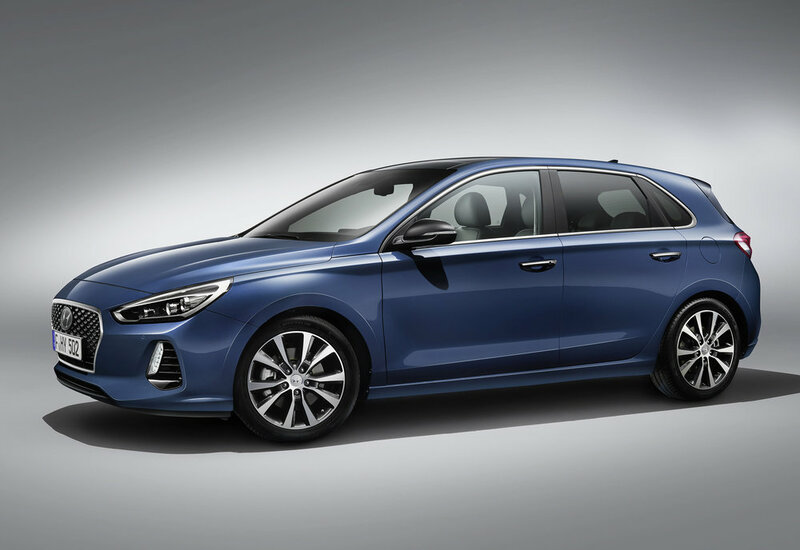 Set to go on sale March 1, the new Hyundai i30 will start from £16,995 OTR. That’s for the 'S' 1.0 T-GDi 120PS 6 speed manual, which offers 15” alloy wheels, LED daytime running lights, DAB radio with USB and aux connections, Bluetooth with steering wheel controls, electric front and rear windows and driver seat height adjustment. Standard safety equipment, with Lane Departure Warning System, Forward Collision Warning System, Lane Keep Assist, Autonomous Emergency Braking and Hill Start Assist Control features on all models. 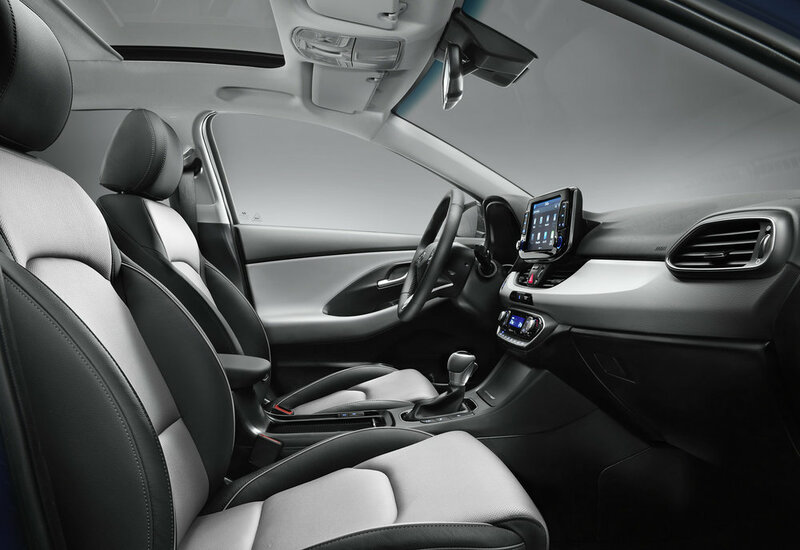 Standard technology and connectivity equipment includes DAB radio and Bluetooth, regardless of trim level. The 'SE' 1.0 T-GDi 120PS Manual costs from £18,695 and builds on the S trim by offering additional equipment including 16” alloy wheels, front fog lamps, DAB radio with 5” LCD touchscreen, rear parking assist system, rear view camera and leather steering wheel. SE specification is also available with a 1.6 CRDi 110PS, and 6 speed manual transmission. Moving further up the range, the 'SE' Nav 1.0 T-GDi 120PS Manual starts at £19,645 and continues with the SE spec, adding additional enhancements to technology and connectivity, with integrated satellite navigation with 8” LCD touchscreen, Bluetooth with voice recognition and wireless phone charging. As a £1000 customer option, SE Nav specification is available with the Visibility Pack, which comprises dual LED headlights, 17” alloy wheels and dual zone climate control. The SE Nav spec is also the first trim level to introduce the new 1.4 T-GDi 140PS engine, available with a 6 speed manual, or 7 speed DCT transmission, whilst the 1.6 CRDi 110PS engine, available with either a 6 speed manual or 7 speed DCT transmission, is an additional option. The 'Premium' trim starts at £22,195 for the 1.4 T-GDi 140PS Manual and includes 17” alloy wheels with uprated Michelin tyres, dual zone climate control, electronic parking brake with auto hold function, privacy glass and heated front seats with artificial leather/cloth seat facings. Electrically adjustable seat, a 'supervision' instrument cluster with 4.2” display and driver assistance systems including front and rear parking assist system and blind spot detection system with rear cross traffic alert and LED front headlights and rear combination lights are also included. The 1.4 T-GDi with a 7 speed DCT transmission and a 1.6 CRDi 110PS engine with either a 6 speed manual or 7 speed DCT transmission are also available. The range-topping 'Premium SE' starts at £23,495 for the 1.4 T-GDi 140PS Manual, adding panoramic sunroof, leather seat facings and a heated steering wheel to the Premium spec. Premium SE is also available with the 6 speed manual, 7 speed DCT transmission, with either the 1.4 T-GDi 140PS or 1.6 CRDi 110PS. A new Engine Red colour joins Polar White as solid finish, as no cost options.